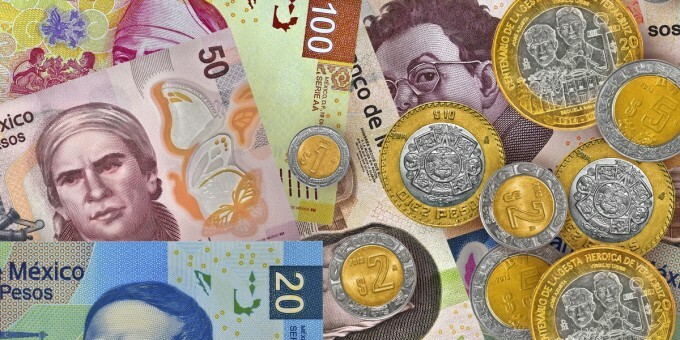 According to the Bank of Mexico there are more than 5 billion bank notes and over 14 billion coins in circulation across the country, which works out at about 160 notes and coins for each of the country’s ~120 million inhabitants. Why then does it seem that no one ever has any change? ¿No tiene cambio? (haven’t you got change?) is an expression you will soon get used to hearing whether it’s in offering up a 50-peso note for a 30-peso cab ride, or a 100-peso note for a 20-peso coffee. And it’s not only at street stalls, outdoor markets, or in taxis. The “no change” response is as frequent at convenience stores and other local shops, restaurants—and even occasionally at the supermarket checkout. With a large informal economy, most of the country’s daily transactions are paid for in cash. But even in the formal economy, cash is the preferred method of payment. Bankers estimate that of all the transactions conducted with debit cards, nearly 90% are to withdraw cash from ATMs. People here prefer using cash, even at filling stations—which, by the way, are among the best places to get change if you’re stuck with nothing but a 500-peso note (that can be as frustrating as having no cash at all). With so much currency around, it’s a wonder people can be so reluctant to give change. Some have change, but don’t want to break a large bill for fear it will leave them without change. One infuriating twist: people with notes in the cash register will, at times, hand you all your change in coins. One of the reasons why change is hard to come by with small local stores and local markets early in the day is that these traders often don’t begin with a ‘cash float’—they are relying on their customers to furnish them with their float as their trading day progresses. Ambulant street traders work in similar fashion. You’ll come to find that small change is essential in Mexico: for tipping, for small purchases from small local traders (even when they have change they will not be pleased if you pay for a 10-peso purchase with a 100-peso banknote), and even to break larger notes for others (friends, family) who may need change at any given moment. ATMs sometimes dispense a range of smaller notes, and sometimes they dispense only large bills. It can be inconvenient when you withdraw $2,000 pesos and the machine dispenses it all to you in $500-peso bills. The distribution of banknote values you are dispensed will depend on how the machine is programmed, how much you request, and what denominations are available in its bill cartridges at the moment when you make your withdrawal. You can always take large bills to your own bank to make change. Other good places to “make change” if you find yourself with a wallet full of large bills include gasoline stations, bus terminals (especially during busy weekends), and busy central markets in larger towns and cities. 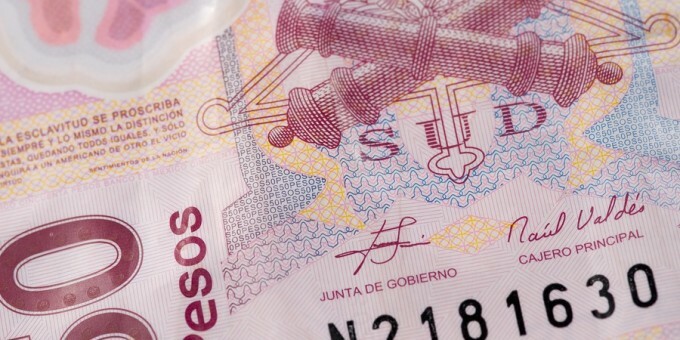 If you’re staying at a large hotel resort, the front desk will usually break a larger note for you to use as tips; $20 peso bills are a popular choice. 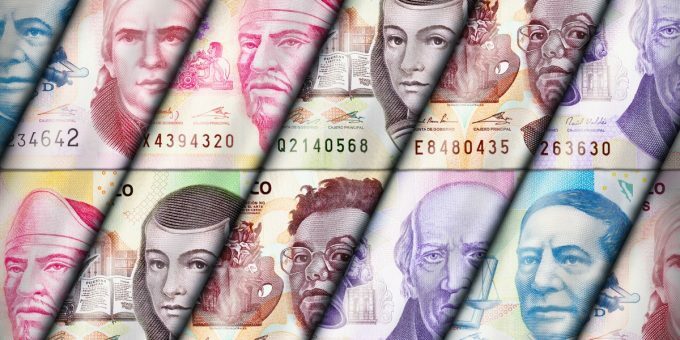 Indeed, the $20 peso bill is possibly the most versatile banknote for use in small trades. I have an account at Santander. I live in Puerto Escondido. They do not like to give coins in change even to clients. It is easy to get stuck with a long walk home because all you have is a 500 and the taxi will be happy to take it and not give you change. There is a strategy to all of this. If you pay with larger bills later in the day you can get change. It is hard for the locals. They can’t get coins in change from the bank. So, it is rude to hord your change but it is also necessary to hang on to some change so you don’t get stuck. 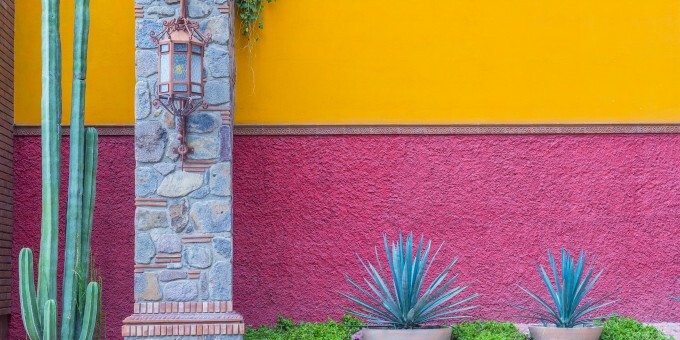 I spent 16 days in Mexico City, Puerto Escondido, Mazunte and Zipolite…not having change was a constant issue and left a bad taste in my mouth. The people of Mexico City were so rude, nearly everyone I dealt with when i didn’t have exact change rolled their eyes in my face and were rude, it continued to the other towns though not quite as bad. My husband doesnt speak Spanish so most of the transactions were left to me and the hostility was palpable, it kinda ruined the trip honestly. I didn’t find this part of Mexico to be especially kind, my other travels in this country have been much more pleasant. I have not had people be rude to me but they don’t have change frequently. The banks are resistant to giving the change that is needed. The lines at the banks are incredibly long. I don’t know for sure but the problem either lies with the money supply or with the banks processes. The lical people cannot do anything about the problem. My wife and I have an apartment in Mexico City where we visit a couple times a year. 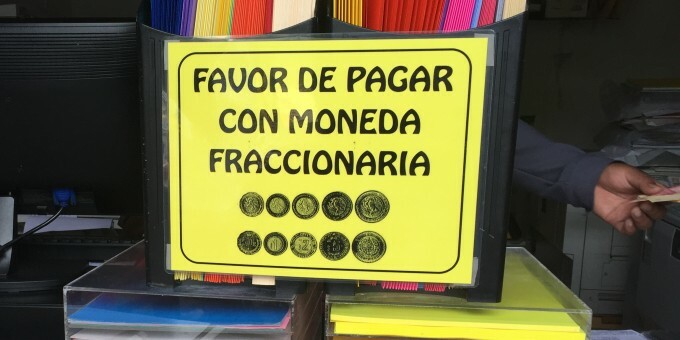 While the no-change foolishness is alive and well in Michoacán where we really live, when we are in Mexico City I return with pockets almost hanging to my knees with change. Sometimes I have so much change that I bag it and put it into our suitcases. The no-change thing does not exist in Mexico City. Why? God knows. As Mark mentioned taxi drivers are really cagey with the ‘no hay cambio’ gambit. It’s all about a tip. I’ve been in my city long enough to be able to approximate the fare and I make sure to carry the correct bills. Like Karen, my neighborhood vendors all trust me to come back and pay if the ‘no hay cambio’ comes into play. Not so sure it would work among merchants that I don’t frequent often as Ian suggested. I’ve not had the problem some here have mentioned regarding changing large bills for smaller ones at the banks. Years ago yes, but in the past decade or so it’s gotten much easier. I bank with Santander in case you want to check them out. Also, as most of you seem to know the last, best resort is Pemex. I’ve found that with the vendors I frequent, if I don’t have the cambio and they don’t either, they trust me to pay them later, and I do. When cashing a check or converting dollars the tellers always give me the lest amount of bills possible. I give back the largest and get smaller bills. I always get lots of twenty and fifty Peso notes. I carry some coins, but they heavy. All very true, although there is still no real explanation as to why “no hay cambio”. Twenty peso notes are very handy, as are gas stations. I regularly go to the bank to change large bills into small ones. You are right, Kirby. Tellers will make a big fuss when you try to brake a bill. An excellent tip I can give you all is to go to the nearest gas station! They always have change and will gladly exchange your bills. I hope this helps. I paid a coffee bill near closing. I must have gotten fifty pesos in 5, 1, and 50 cientavos. I was upset. And my date was upset with me, mentioning it a year later. Of course the staff was getting rid of the change. Also, there are no night depositories at banks. At night, there must be 10’s of thousands of pesos in the streets being transported who knows where. And I never hear of any robberies. I agree with b. buckman. I play stupid and tell the merchant, “no tengo cambio” in return. True, I get a dirty look now and then, but 90% of the time the merchant will miraculously make the right change occur to save the sale. Rarely will the merchant tell me to take a hike, or make me take a pocketful of “moneda” (change in coins). The most useful “piece of money” here is the twenty-peso note. SO MANY things can be paid for with one or two of these, and they’re never refused. They are small & durable, and I try to ask the teller for 25 or 50 of these every time I go to the bank. Yeah, I keep them at home mostly, but grab a handful when I go out. It beats having a pocket full of 10-peso coins! In reading travel books, I get the impression that the “no change” comment (especially from taxi drivers) is for a purpose. And that purpose is so that you will give them your large bill and let them keep the difference. Foreigners may be poor, but they are not stupid. As a business person here in Mexico part of the problem is the banks rarely has change either. It takes me 3 or 4 trips to our local bank to get change. I end up taking what ever I can. No $50 or $20? Well how about $2,000 mx in $5 coins? Even if you’re on vacation here, you will eventually hear the phrase “no trae cambio?” (don’t you have change?) when presenting a bill to pay… it’s very funny. No one ever knows where all the change goes! But, to avoid this, you can go to the bank and ask the teller to break a bill, into smaller denomination ones or coins. Had to laugh at this article, it’s true and we all are subjected to the ‘no hay cambia’ trap. I have lived here so many years that I am no longer embarrassed to make a thing of it. On occassion, in larger markets, I have refused to accept a double handful of coins as change. I have insisted the money keeper be called to give me the change in bills. It causes a stir and some odd glances but, at least, I don’t leave with trouser pockets bulging with a half kilo of ‘monedas’. 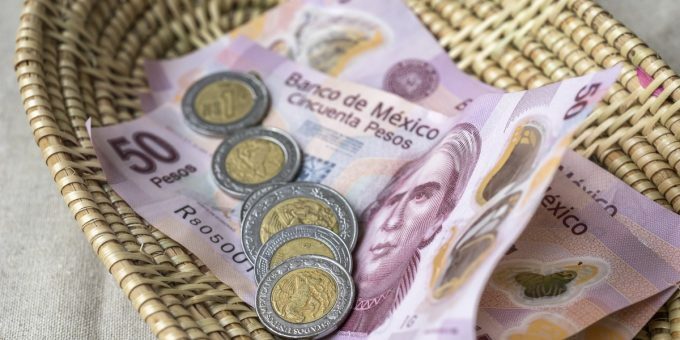 Although cashless payments are increasing in Mexico, cash still remains king here.